Now that we’ve been back home for a while and aren’t traipsing around from camp site to camp site, I’m really missing the camp life and all the awesome views. I should really put up a post of all of our campsites soon (before it’s not relevant anymore) because we scored some really awesome ones! 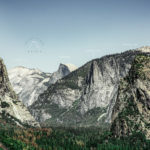 In the meantime, feast your eyes on this photo of Yosemite and check out what’s been going around on the good ol’ internet. I binge-watched Stranger Things in two days, it was that good. Minimalist furniture. Craft beer and avocado toast. Reclaimed wood. Industrial lighting. Cortados. Fast internet. The world is becoming the same-same everywhere. h/t to Mike for that one! If only I spoke fluent Japanese, I would totally apply to live in this Muji house for free for 2 years. I haven’t tried Surratt makeup, but this profile on the creator behind the brand makes me want to. Because making your other coffee in the morning is true love. Took me a while to spot the cat in the wood pile. Mike and were literally just talking about Ghostwriter the other day. I’m all about the snacks. The most amazing food paper videos. I’m in love with St. Germain and peaches so this drink is right up my alley. Homemade ice cream sandwiches please! I love me a good bundt, especially with a glass of iced tea. Just finished The Invoice. I liked it. I didn’t go into it knowing too much about it and I think that’s the best approach. I ordered a new tamagoyaki pan because my old one had a loose handle that we couldn’t quite fix. I’m super excited to make LOADS of tamagoyaki (and maybe even some spam and tamago rolls!?). The ultimate BAE breakfast sandwich: bacon, avocado, and egg. Have a wonderful first weekend of August! Hopefully you’ll catch some early Perseid shooting stars! PS – Are you guys going to watch the Olympics? welcome home!!! and thanks for the link love. 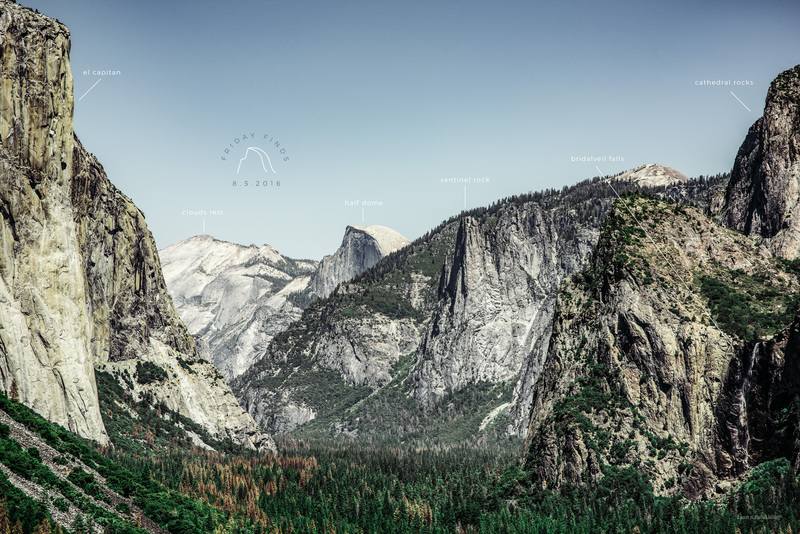 OMG I love this Yosemite image SO MUCH!! Serious flashbacks with that Ghostwriter link! lol YES to tangram!!! but also, mike would never say same-same LOL. that’s all me baby! thought number 3 was “love a good BLUNT” haha. bahahaha that too, that too! just went to yosemite last weekend! well through it for a couple hours, then on to mt whitney to pick up family after they finished a week-long hike. tunnel view was gorgeous, but also a 2 hr detour (my friend and i had noooo idea + service was nonexistent there + i can’t read a map reliably). oh well. oh man, there was ZERO service. we chatted with some rangers who said that they put in a cell tower for when obama visited, then took it away??!! Thanks for sharing the Ghostwriter link! I miss that show. I definitely watched every single episode and was so entranced by them.